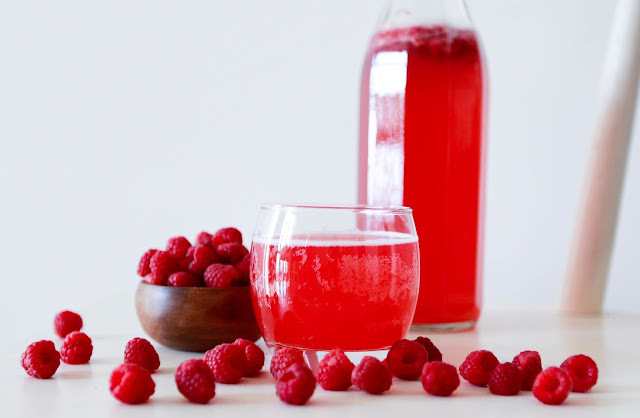 My kids have been drinking kombucha tea for about 3 years now and my now 7yo still loves his simple raspberry Kombucha tea best. I realised I hadn’t posted this recipe up yet but should as it is a quick one to make if you are busy or new to brewing your own Kombucha at home, it’s nice to have some simple second fermentation ideas. You can learn more here about brewing your own Kombucha tea, including the benefits, where to find a scoby, how to brew your first fermentation and how to flavour your Kombucha with a second fementation. 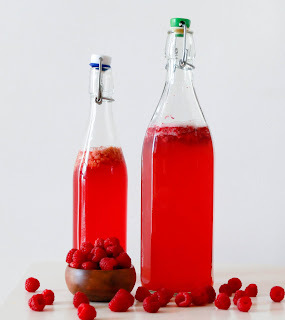 I just made some with fresh raspberries I got from a friend’s garden and it was amazing. And yes, it exploded in the sink (I was expecting it) when I opened the flip top. Amazing flavor! It’s my favorite too! It’s one of our favourites! So lucky you got fresh raspberries from the garden Karen!